55 photos of modern traction on the West Coast Main Line in the Stafford area. 47555, 1G59, Stafford, Sun 7 September 1975. Arriving with the 0812 Liverpool - Birmingham. 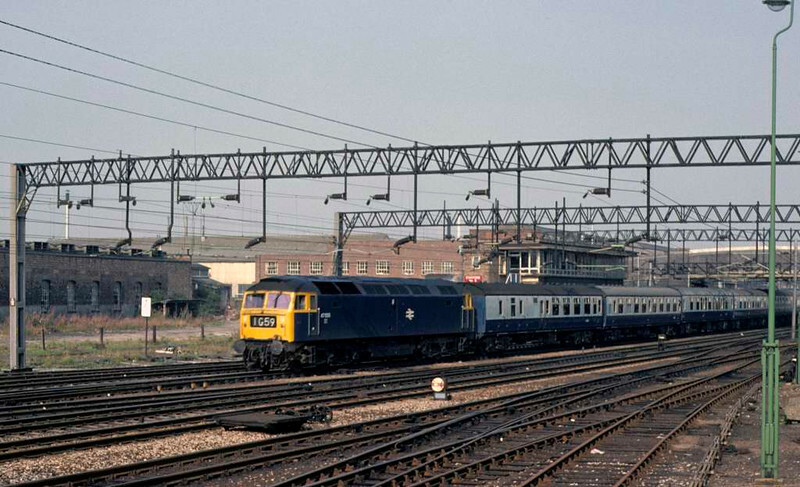 The loco was scrapped in 1995. Photo by Les Tindall.